Our Meee Employment Programme is 4 days long. In that time, we hope to help individuals realise what their skills are, what makes them happy and what they can bring to the world of employment. It is too often that we find people who are unaware of who they are and have no idea of what their natural abilities may be. Here at Meee, we hope to change that. We strive to help people at every step of the career ladder by rediscovering what motivates them and regain their self-confidence. We provide a space in which they can pinpoint their skills and values and encourage them to see that there are plenty of jobs out there. Most importantly, we help them seek jobs not only they can succeed in, but love doing. Take a look at our video here - With special thanks to Catherine Blake, James Roberts, Gaz Jones and Llinos Haf Plevin who kindly dedicated some time to tell us how much they love the programme. 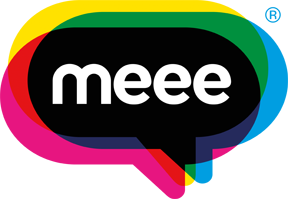 To get more information to speak to your job coach or contact us at help@meee.global!